 BitShares Blockchain implements an industrial-grade technology focused on businesses, organizations or individuals, with an amazing eco-system and free-market economy. Based on open-source MIT-licensed Graphene technology, BitShares was launched in its existing form on 13th October 2015, known prior to that as a community project: 'ProtoShares'. Ever since then, the BitShares blockchain and its dApps have been maintained and developed by workers elected via stakeholder consensus, consisting of more than 30 highly skilled professionals. The DPOS algorithm is divided into two parts: electing a group of block producers and scheduling production. DPoS (Delegated Proof of Stake) specifically replaces environmentally reckless ‘mining’. Every account can be controlled by single or weighted combinations of other account/s and/or keys. This creates a hierarchical structure which can be built to reflect real-life permissions – for example a company or organization approval and signing processes in digital form. Any user interacting with a Blockchain does so with transactions which are authentic and authorized. Transactions are constructed then transmitted to the network, containing instructions the user wants to perform. The most simple form is the transfer operation, which contains sender, receiver, amount, and optionally, encrypted memo. User-Issued Assets enable entrepreneurs to issue their own tokens. Event tickets, company shares, crowd-funding, loyalty/credits are just a few of the examples. Whitelist to create fully regulatory compliant KYC/AML tokens. Publically describe, list, and provide liquidity for your assets. Operations on the BitShares Blockchain allow for extending its range of functions towards built-in or external dApps. The BitShares Blockchain is extensively modularized and implements operations independently of one another. BitShares is considered so stable because core blockchain modifications require vetting by the core developer team, followed and approved by BTS holders before any network-wide protocol upgrade. The BitShares Blockchain acts as a name-to-public-key resolver in a similar way to the traditional Domain Name Service (DNS). Users can easily remember and pass on their account information instead of error-prone addresses. Fastest block confirmations. Transactions get written to the blockchain within 3 seconds, and on average in under 1.5 seconds. Like other Blockchains, BitShares also has fees yet they are much lower than average, with 80% vesting cashback for lifetime members. Supports recurring payments, subscription payments, allow users to authorize third parties to make withdrawals within certain limits. Enabling management for the corporate environment, control wallets using a weighted combination of other account approvals. Powered by an eco-system of dApps which self-fund the core token BTS, ensuring the blockchain covers costs to keep going in perpetuity. Delegated Proof of Stake (DPOS) is virtually impossible to hack, as it would involve taking out many active and backup, global, trusted delegates. ⓘNumber of operations on the blockchain during the last 24h (more about it at Blocktivity.info). ⓘAverage number of operation on the blockchain during the last 7 days (more about it at Blocktivity.info). ⓘActivity Valuation Index (AVI) - A ratio of blockchain activity to market cap valuation (more about it at Blocktivity.info). ⓘCapacity Utilization Index (CUI) - A ratio of blockchain daily activity to total blockchain capacity(more about it at Blocktivity.info). Visit Blocktivity.info for more information and analysis. The latest and best stories about BitShares curated from around the web. Join the World’s Fastest Industrial Grade Blockchain Platform and Eco-System!